The Award has transformed the lives of millions of youth across the globe. The Gender Diversity & Empowerment Project for Women run by Award Programme Foundation in areas like Hoogli, Singur, Baladbandh, and Kumroguri of West Bengal is a special project which aims to engage young girls in learning skills like handmade jewellery making (earrings, bangles, clips and necklaces) through the paper quilling method, thereby enhancing their economic prospects and empowering them with life skills. This report delineates how the girls have been working in the four sections of the Award and how the Award equips them with life skills, through which they feel self-dependent and empowered. The Skill Development Project started among the Award Participants of Baladbandh Village in February 2015 with the support of the Award Programme Foundation (APF). Fourteen Silver, Bronze and Gold Award Participants of Baladbandh chose jewellery making for their skill section. APF sanctioned the fund of Rs. 20,000/- for this project, in which girls started to make handmade jewellery with this support and sold their products in different areas and fairs of Kolkata. Day by day their sale is improving and so is the confidence among the girls. They are able to manage their daily requirements through their earnings. With the passing of the year, the number of girls in this project increased to 18 and as a team they made a profit of Rs. 6000/-. 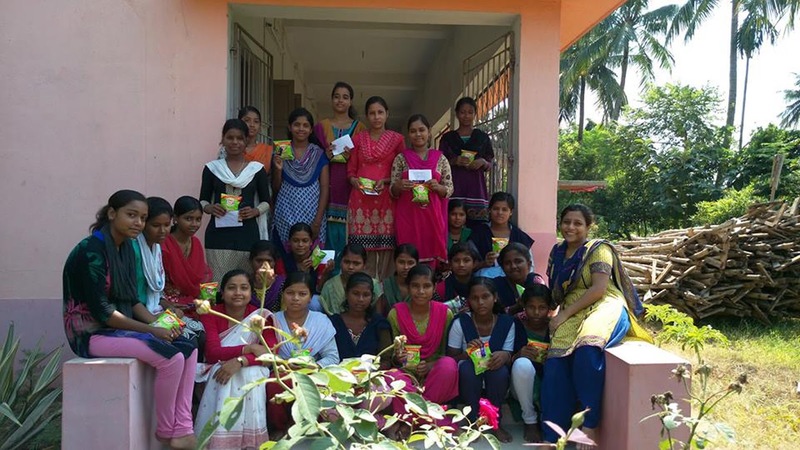 Girls are getting remuneration through this project and it helps them to buy their own necessary goods. Moreover, this year we distributed Rs. 4000/- among the 18 girls and the rest of the amount will be added with the capital. It was a wonderful opportunity for the girls of Baladbandh to sell their handmade jewellery under the banner of Rasik Bhita Chhatrimangal. CSR of Mjunction (Joint Venture of Tata Steel & Steel Authority of India) Smt. 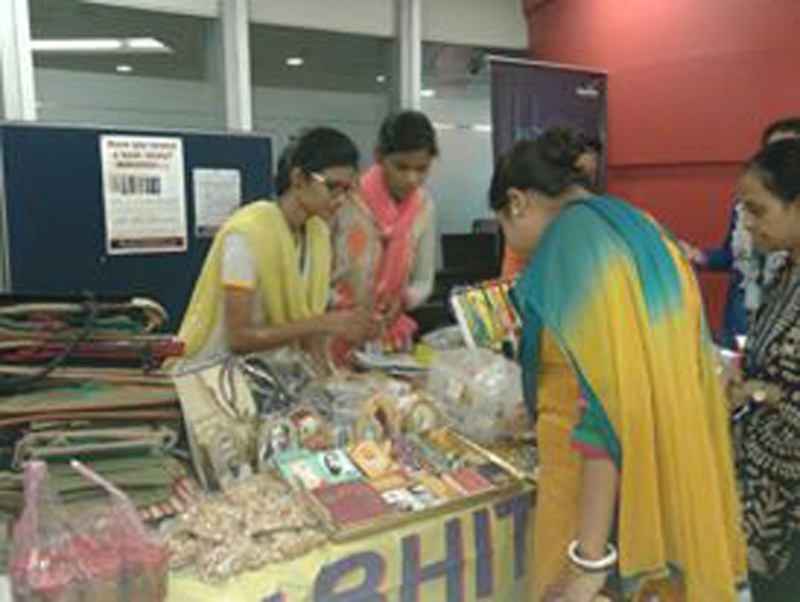 Piya Dutta Nandi arranged a small sale counter at the office premises of Mjunction on 8th and 9th September, 2016. 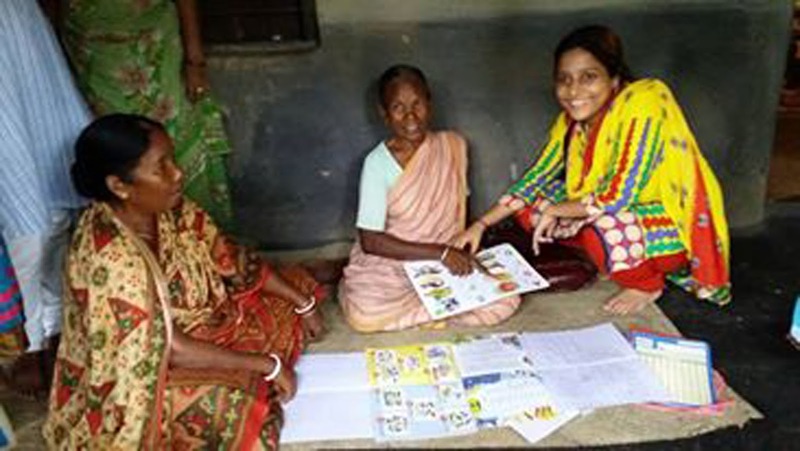 Silver Award Participant Rikta Dutta and Gold Award Participant Bonnya Soren (an Adivasi girl) participated in that programme. Award Participants from our different units do yoga regularly under the guidance of their yoga instructor Smt. Champa Kundu. Some of them had breathing trouble before but after doing yoga their fitness and health has improved and they also find interest in it. Girls have different medical issues as teenagers and these kind of physical activities help them to face problems. Some Award Participants from Baladbandh unit are going to perform a yoga-based dance in the coming inauguration of the library section of Baladbandh. Award Participants from different units are doing various types of social work under this section. Sometimes they spend quality time with the old people. Sometimes they clean garbage and keep the locality clean. Developing the community through the service, Award Participants visit interior villages once a week and convince the adults to learn. This journey started in the year 2015 with five aged women. The number has now swelled to more than thirty. The women of different villages are now able to write their own names and can draw cash from the bank by signing their names. These women now inspire their children to learn and try to give education to them. Award Participants of Kumrogori and Baladbandh teach poor children from different villages.